The whole reason behind buying a portable ice maker is to keep you at the party, rather than running back and forth to the kitchen or convenience store to stock up on ice. It’s never any fun when a guest complains about their drink being warm, especially when there’s nothing you can do about it if your ice maker is on the fritz. 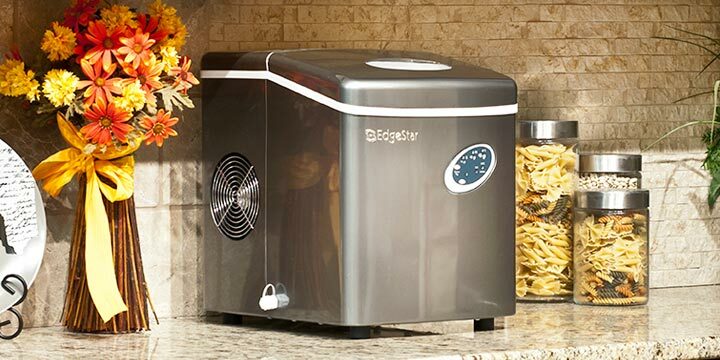 To make sure that your new ice maker is running smoothly and giving you the best experience possible, Compact Appliance is here to provide a few easy usage tips that will keep you cool under pressure in any occasion. Nobody likes ice cubes that look dirty or cloudy, and the best way to avoid dirt or bacteria from getting into other peoples’ beverages is to replace the water in your unit. If you have a portable ice maker, you may not realize that the water you leave in the machine becomes recycled to make other ice cubes if it doesn’t get used. Over time, that water can become contaminated from everyone shoving their hands in and filling their cups, so occasionally, it’s a good idea to swap out the water and keep things fresh throughout the night. For an extra bump in price, you can even purchase a portable ice maker that is self-cleaning, which means less work and more time to relax! If you own an undercounter ice maker, water build-up is not as much of an issue because these units are designed to drain the water within. That being said, it’s always a good idea to have a small scooper to grab ice with so you do not have to use your hands. That way your unit maintains its cleanliness longer, especially when the guest count is out the door. 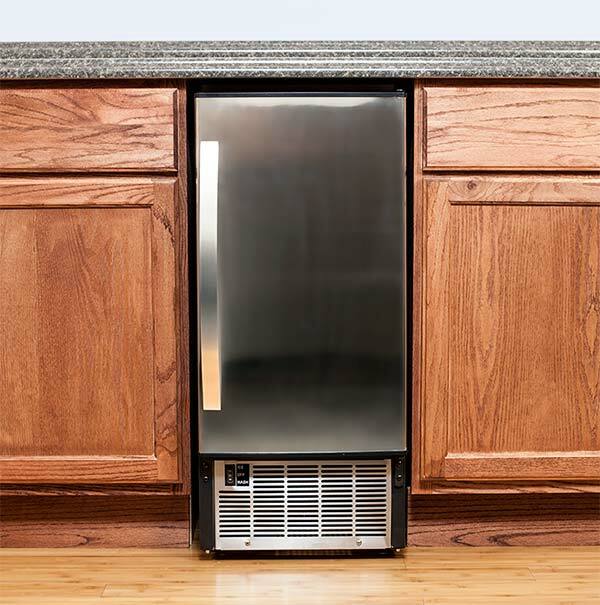 For an undercounter ice maker, location isn’t necessarily that much of a concern. Outdoor built-in ice makers are made to withstand outdoor temperature fluctuations. This means that if it’s 90 degrees outside, your outdoor bar or kitchen ice maker will still keep your ice frozen. At the same time, if you’re installing a built-in unit, you should probably choose a location that is easily accessible and not down in the basement. The goal is to be present whenever possible, so choosing a space where you can easily go back and forth from the action will give you the best experience. Portable ice makers are a little trickier. These units are compact and require an outlet to function. These appliances are ideal if you already have a place in mind to plug in, but if you’re thinking that you can take it to the park, you may have to bring an extension cord. Knowing that you’ll have to utilize an outlet to make it work, choosing a location to place it throughout the day or night becomes a conscientious decision. 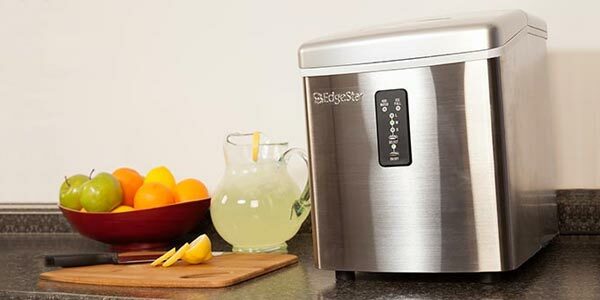 It’s probably not a good idea to set your portable ice machine directly next to liquor or other beverages because someone could potentially spill something into it. At the same time, you don’t want to totally separate the ice from the bar because then everyone will keep asking you where the ice is! We suggest that the ice and beverages be on the same counter, but at opposite ends, or place the ice maker behind the bar. Designating a separate space for your ice maker is always a good idea to avoid potentially hazardous situations, such as someone knocking it over and breaking it. Also, you have to keep in mind that a portable ice maker is more susceptible to the outside temperature. This means that you shouldn’t put your unit next the the grill, oven or fireplace, because the heat from those structures will cause your ice to melt (which will then melt your happiness). Ultimately, you will be limited to where an outlet is available, but you can take precautionary measures to preserve your appliance and your peace of mind. Like we mentioned before, in a portable ice maker, whatever ice is left over will be recycled by the unit to make the next batch of ice. This process can be somewhat frustrating if you have a lot of guests waiting to make a drink, but the timing is constantly an issue. To combat this issue, we suggest that you take the ice that’s made and place it into a cooler that you can setup next to the bar or drink station. A separate cooler can keep your ice chilled and ready to go, rather than just leaving it in the ice maker, preventing more ice production. Portable ice makers aren’t really designed to store a ton of ice. 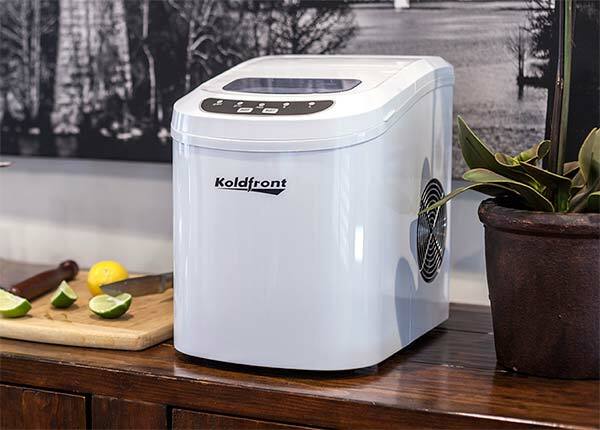 So to ensure that your guests have continuous access to ice, take the ice that’s made and dump it into a cooler that people can serve themselves from, or into an ice chest filled with other beverages. Using a separate cooler will also offer more options for placement if there are no outlets available for the ice maker. 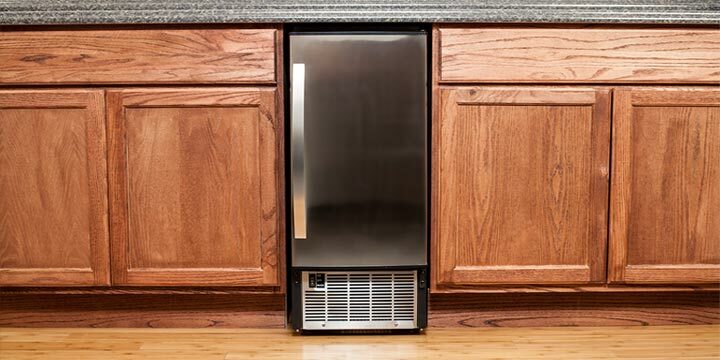 When dealing with an undercounter ice maker, storage is already provided. Ice is already being made and stored constantly, and they are designed to keep what’s made stable. After considering these other tips, the most crucial thing that we want to stress is the importance of a warranty. It’s always a great idea to read the reviews of other models — undercounter and portable — to get an idea of how long your appliance will last. If you’re thinking of buying an ice maker, do your research and find one that comes with a 1-year replacement. If you already have an ice maker but you don’t have a warranty, don’t worry! Many companies will allow you to purchase a warranty for your unit if it has been bought fairly recently. Unfortunately, warranties do not apply to all brands of ice makers, but by reading product reviews and researching brands, you’ll be able to maintain your appliance for years to come. Chase Maser is a co-founder of Philosopher’s Stone Poetry Co, a non-profit in Los Angeles dedicated to the enhancement of creative writing. Along with being a poet, he is also a journalist for The Argonaut Newspaper in Marina Del Rey, CA. Whenever he’s not writing or planning the next poetry reading, Chase loves to play basketball and ride his bike around the city. He is currently an English Major at UCLA and plans to minor in playwriting. Should a standard home ice maker be kept on permanently to recycke the whole time? Or only switched on if needed?